The Lego Movie 2: The Second Part won the box office during its opening weekend in theaters. The animated sequel made $34.4 million. The film features the voices of Chris Pratt, Elizabeth Banks, Will Arnett, Alison Brie and many others. 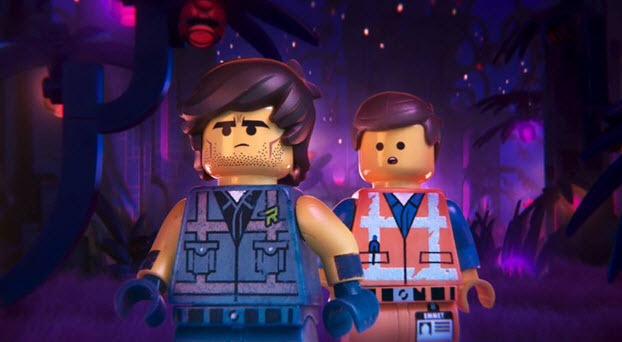 The Lego Movie 2 opening was below expectations but still a box office win for the Lego animated film franchise. It has an A- CinemaScore and 85% fresh rating from critics on Rotten Tomatoes. Lego Movie 2 was followed by What Men Want which had a $19 million opening and made $6,525 per theater. Taraji P. Henson plays a woman in a competitive male dominant sports agency who gains the ability to hear men's thoughts in the comedy. Cold Pursuit, a thriller starring Liam Neeson and Laura Dern, opened in third and made $10.8 million. The film's debut may have been spoiled by Neeson's recent self-inflicted bad publicity. Cold Pursuit was followed by The Upside and Glass. The Prodigy opening in sixth and made $6 million. The horror film made just over $2,300 per theater. The Prodigy was followed by Green Book, Aquaman and Spider-Man: Into the Spider-Verse. You can view the box office chart for the weekend here. Lego Movie 2 will be up against Happy Death Day 2U, Alita, Fighting with My Family and Isn't It Romantic in its battle to stay atop the box office this coming weekend.